Lately I've been in a mood to make changes. Changes with my lifestyle, my daily rhythm, my home and so on. Since last summer I've been in a mental state that have required me to really get in touch with my feelings and my values, and I've had to learn all over again what are the things that make me happy and make me - well, me. 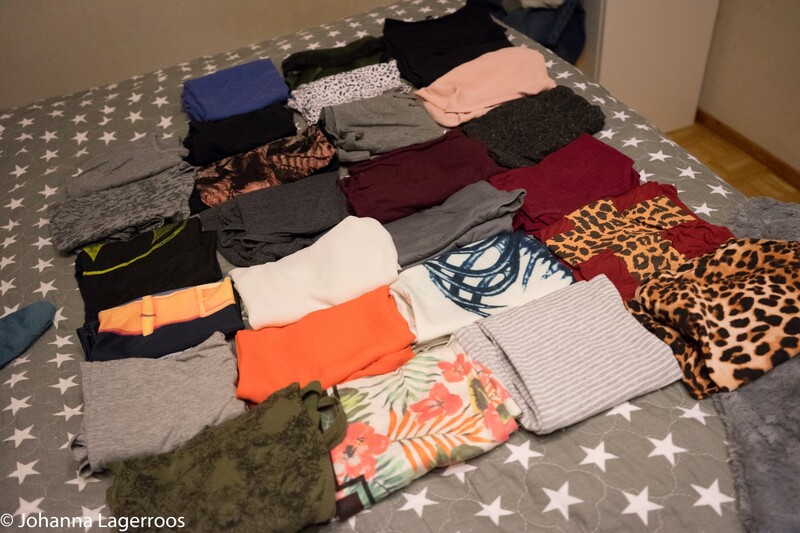 One of the points is re-thinking my style and the items I have in my wardrobe. Not that I would be completely changing my style into something else, but rather streamlining it a bit and getting rid of things that don't fit, don't look nice or don't make me happy. Like you can see in the before pics, there's so much everything. My mom would probably say I still have a ridiculous amount of everything. In which she would be somewhat right. 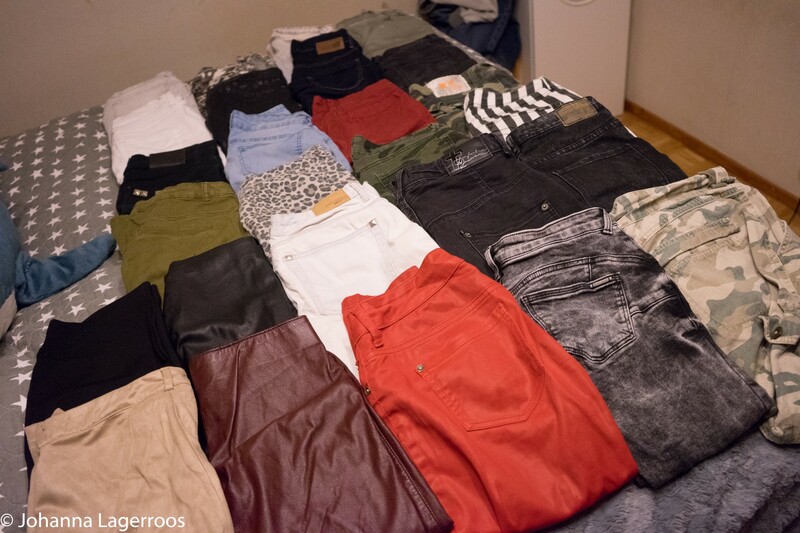 The most difficult task is usually parting with the clothes. We humans are funny in the way that we get attached to inanimate objects, like clothes and jewelry and stuff. Within the past year, I've gotten better at giving away things I don't need or love. So this little project wasn't that bad at all. 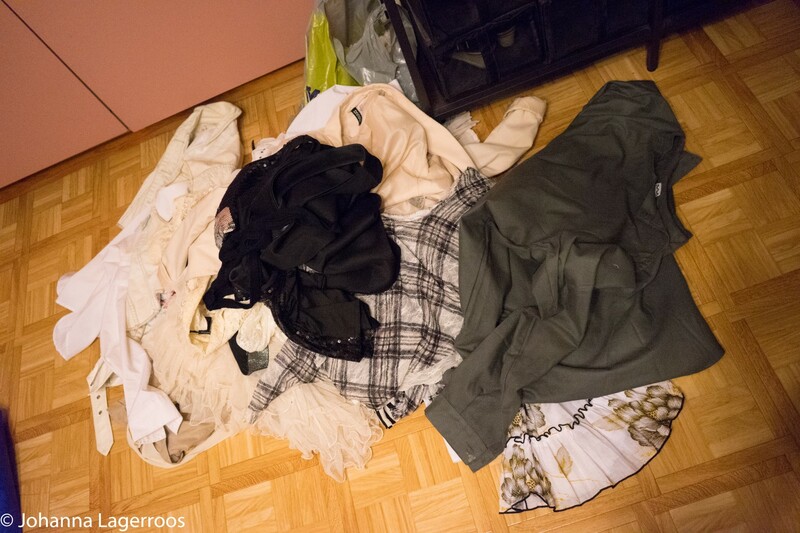 I simply made two piles from the clothes. One for the clothes I wanted to keep, and one for those I was on the fence about / ones I was going to give away. 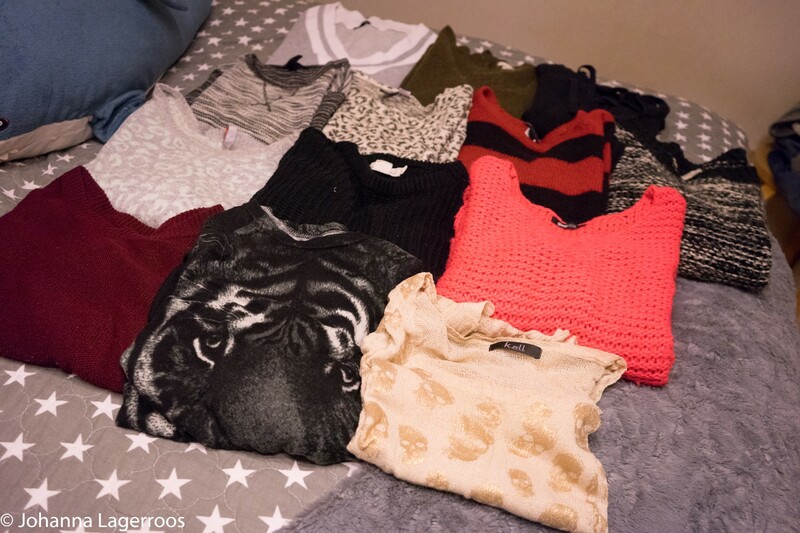 Once done, I put the ones that I kept back into my closet and put the other ones in bags and took them to be donated. I usually donate all the clothes that are still wearable. Sometimes I try selling them, but so far I've made such little profit from it that I actually rather save my time from organizing the sale booth and just give my clothes away. I would never throw wearable clothes in trash, simply because we humans make enough trash as it is. I don't want to add into it because of my style choices if possible. That's why I mostly prefer buying secondhand clothes if possible. There are so many worn clothes out there that are still more than wearable, and there are more and more sites and apps where you can shop secondhand clothes without them being vintage or a decade old. 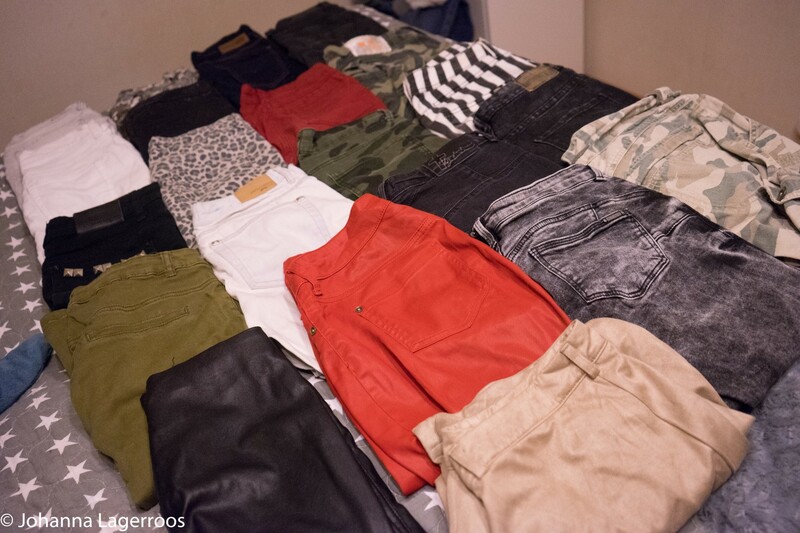 You can find very new pieces and even pieces that have not been worn at all. I will try my best not to buy any items in a whim and will try to have even less stuff in my closet. I will prefer secondhand items over brand new ones as often as possible. I will learn more about materials and the affects they have when produced so I can choose most sensible ones. And of course, I will continue to donate anything that can be given a new home, so no items go to waste. Consumers are often looking for different ways to reduce their environmental footprint, including developing a smart recycling habit or investing in hybrid vehicles. But what many don’t realize, is that as consumers, they have the power to make a difference with every purchase decision they make. For example, the clothes you buy and wear can have a negative impact on the environment, too. When consumers switch to organic cotton, not only is it healthier for them on a personal level by negating GMOs, but the small change helps sustain the ecosystems by using natural processes rather than artificial components. If you want to explore organic clothing, but are located in Finland like me, you can check out Vietto instead. 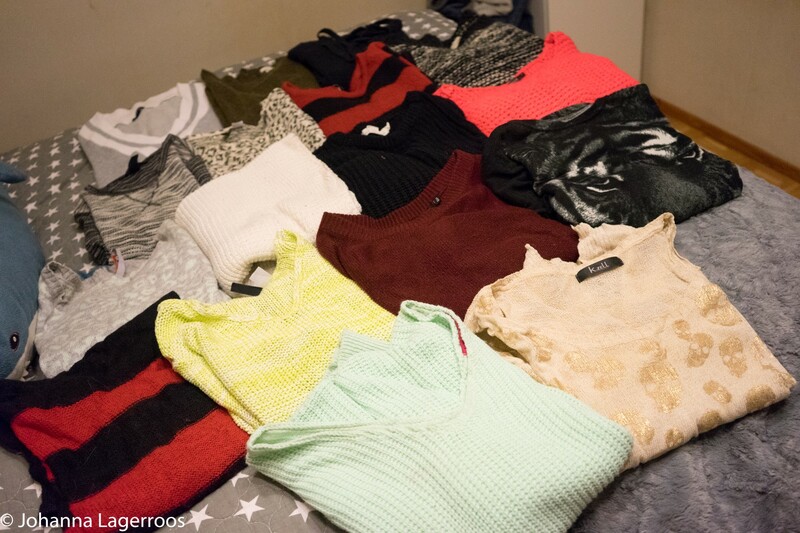 They are located in Helsinki and also sell nice basics for your wardrobe. If you all would like to, I could do another post later on where I talk more about shopping sustainably and ways I will make my future shopping better. This goes post along with my bucket list #23: Declutter everything I own (Less unnecessary things = more relaxed mind). Because of the move, I have to go through all my belongings so that unecessary items get new homes and that the new place doesn't get instantly too cluttered. 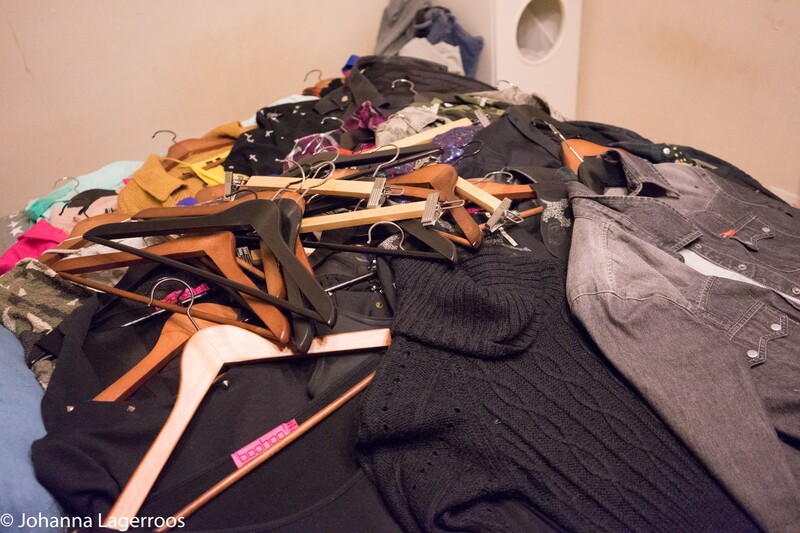 Have you decided to declutter your closet this year? Let me know in the comments below! For those who are yearning for a closet organization post, I will have to make you wait a couple of weeks. After that I'll have my closet setup the way I want it, and I can actually show it to you. I will also have a capsule wardrobe set up then, so that'll be exciting to share. I'll also try to have one more post up for you this week, so stay tuned for that - and in the meantime you can follow me on Instagram (@silvertigo) for daily outfits and more. Sometimes a style change or new clothes can make a person happy, so go for it!